To mark this week’s global Safer Internet Day, AFC Bournemouth vice-captain Andrew Surman was a special guest at a Bournemouth school to talk about the importance of staying safe online. 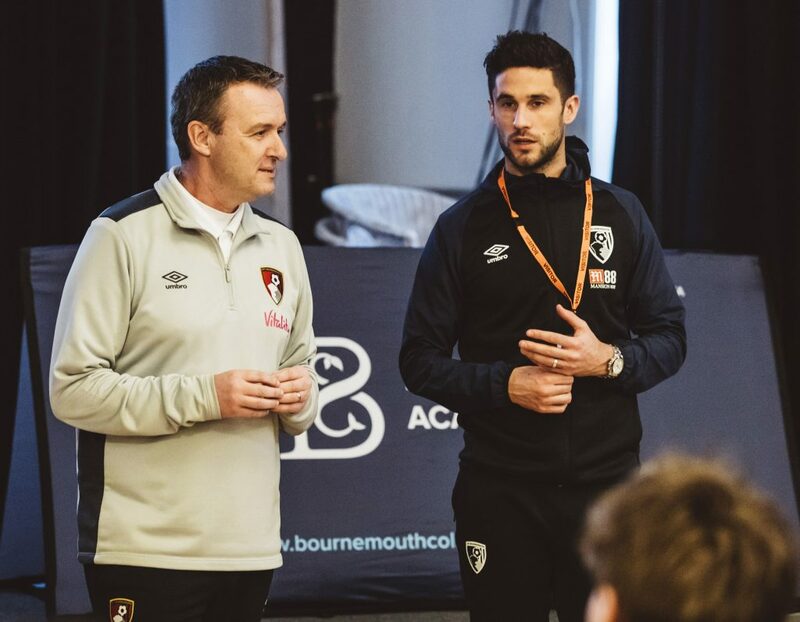 He headed to Bournemouth Collegiate School along with the AFC Bournemouth Community Sports Trust to help deliver the popular Connect with Care project on the subject and hand out prizes to some of the students. Connect with Care is sponsored by IT Support Business (ITSB) Ltd, which is based in London and Bournemouth. Lee Dredge, CEO of ITSB, said: “It’s about being safe online and using the internet safely. Within the schools themselves we look after the ICT infrastructure and keep pupils safe while they’re in school – and as part of that I feel we have a duty to help educate them for personal internet use for the children and the parents as well. Andrew, who is the ambassador for the project, also spoke about his experience at the school. “Being a father myself, internet safety is of utmost importance to me to keep them safe,” the Cherries midfielder explained. “The kids seem like a really good group, we had a question and answer session and they asked some really good questions. Other CST partners include Yellow Buses, Curtiss-Wright and Goadsby. For more information on partnering with AFC Bournemouth, please email Amy Brunton on: amy.brunton@afcb.co.uk or call: 01202 726313.